For all of the photos from this day, check out the photo blog here. Picking up from before, the Easter vacation week was a good one, trip-wise, for Mark and I. After a nice first day walking around Þingvellir and Laugarvatn, we woke the next morning, had a delightful breakfast at our B&B, Gallerí, (complete with made-to-order waffles and rye bread baked in a local hot spring) and then decided we’d take advantage of the sunshine to check out the walking paths around the base of Laugarvatnsfjall (Laugarvatn Mountain). We had thought that we’d spend the later part of the day at the Fontana Wellness Spa, which is pretty reasonably priced and boasts a number of mineral baths, saunas (situated right on top of the natural hot springs), and a warm black sand beach. But with the weather being so nice, we decided to improvise a little. 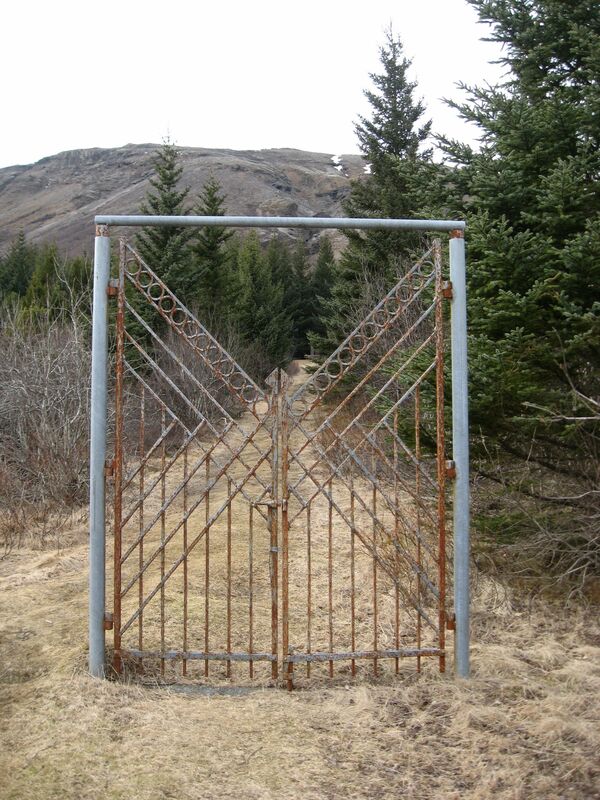 Tagged Getting Awesome, New Finds, outings, South Iceland, Weather! 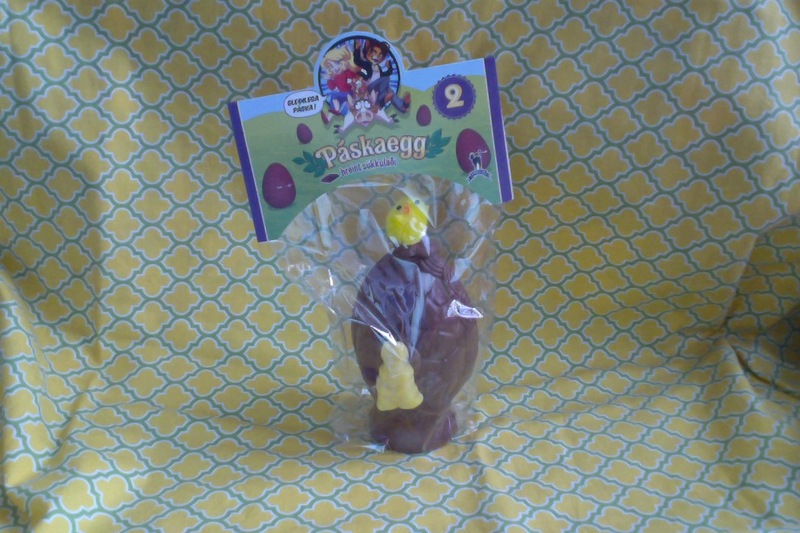 One of the kabillion chocolate Páskaegg (Easter eggs) made in Iceland this year. It’s a bit late to be telling you all this, but Easter is a big holiday in Iceland. As during Christmas, it is a multi-day holiday—Holy Thursday, Good Friday, Easter Sunday, and Easter Monday (which I had no idea was an observed holiday anywhere, actually, but it really is) are all public holidays, in which pretty much all your key services and shops—buses, grocery stores, pools…vinbúðin—operate on a either a vastly reduced schedule, or don’t operate at all. There’s also a week off from school. To maximize your spring (Easter) enjoyment, it’s best to plan ahead in regards to grocery shopping (and alcohol, should you be in need of it), buy one of the baby-sized hollow Nóa Easter Eggs which are filled with candy and enigmatic fortunes (although the smaller eggs are fun, too, as you will surely be able to tell from the picture above), and, if you don’t have family to visit, find yourself a nice place to relax for a few days. The university’s Easter vacation (Wednesday to Tuesday) presented Mark and I with the perfect opportunity to embark on a few more outings: one, a nice overnight for just the two of us, the other, a roadtrip to Ísafjörður (a small, but very notable town in the Westfjords) with two of the other Fulbrighters. 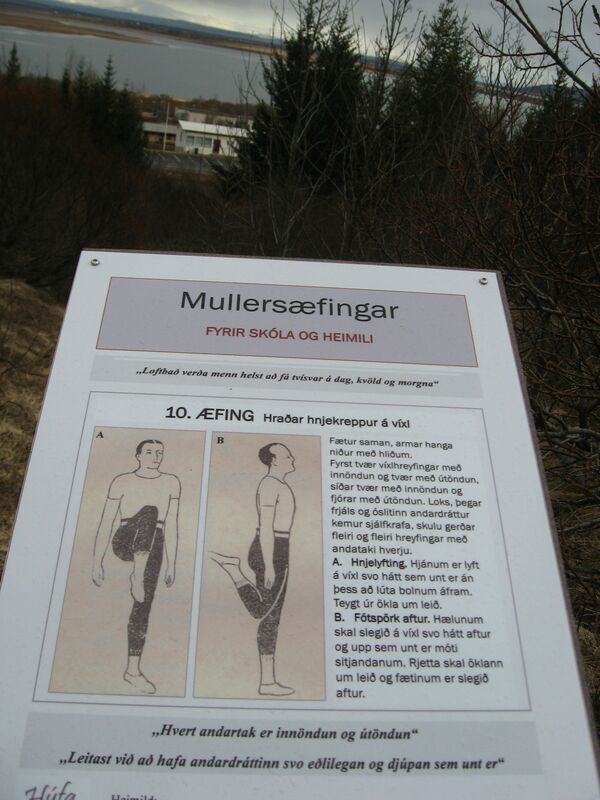 We’d been wanting to get up to the Westfjords anyway, but what made the timing of this trip rather perfect was that there is an annual free music festival over Easter there, “Aldrei fór ég suður,” (I never went south) on top of which, another Fulbrighter is living and studying in Ísafjörður this year, which meant there were a couple couches/living room floor for us to crash on during our visit. 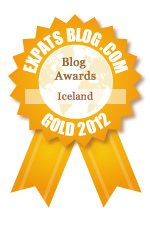 I’ll be recapping both trips over several posts (just wait for The Best Thing We’ve Done in Iceland So Far – no spoilers! ), but you can also check the photo blog, which I will be updating shortly. All the photos from Mark and I’s first night in Laugarvatn have been posted now, however, and you can look at them here. Mark had a class on Tuesday morning, so we waited until after it finished and were on the road by early afternoon. 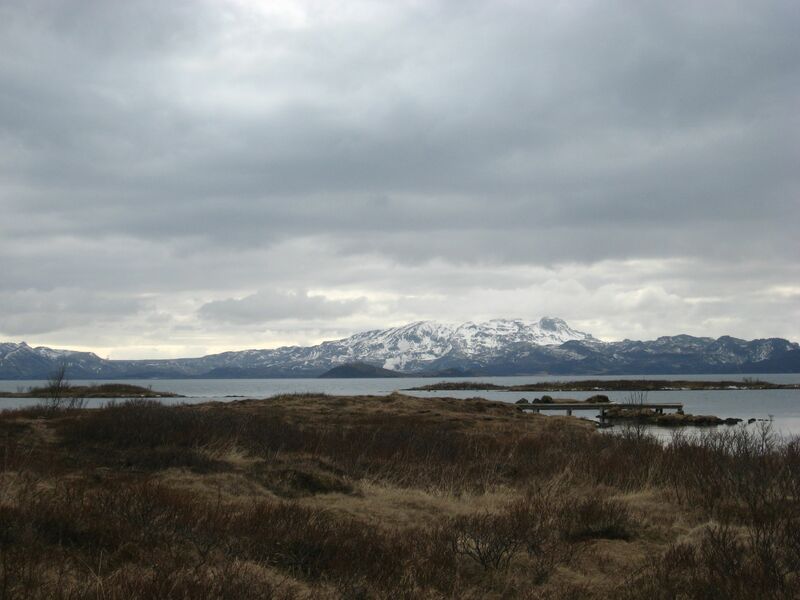 We were graced with very nice weather—maybe a touch cloudy, but not too chilly and no rain—and we decided to start our journey with a walk around part of Þingvellir National Park which we hadn’t spent much time in thus far. Looking at a map at one of the guest centers, we figured that there are actually a number of trails around the park which follow the various rifts, highlight abandoned farms, run through a little forest, and travel around Þingvallavatn, the largest natural lake in Iceland at 84 km² (about 52 miles²). 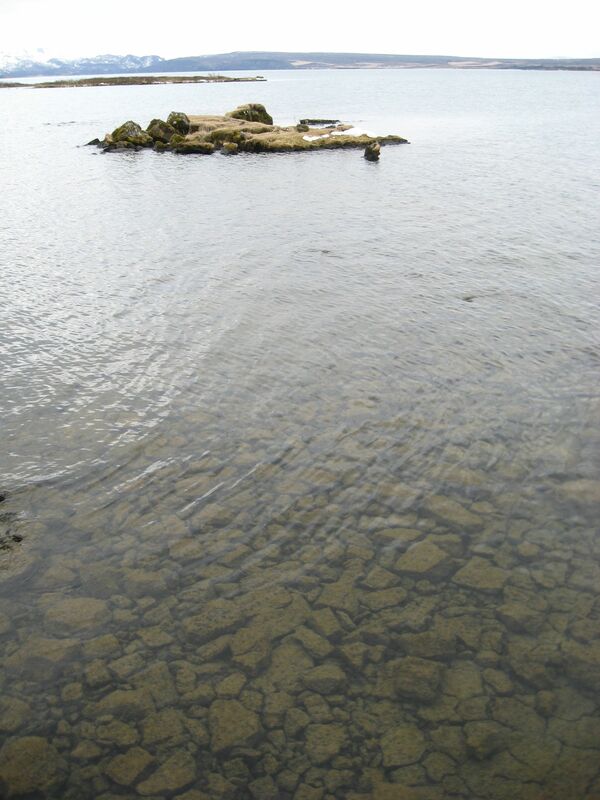 Vatnskot [Lake Croft] is believed to have been an outlying estate, leased from the estate of Þingvellir Church. It was probably inhabited over the centuries, but was abandoned as a farm in the 19th century. 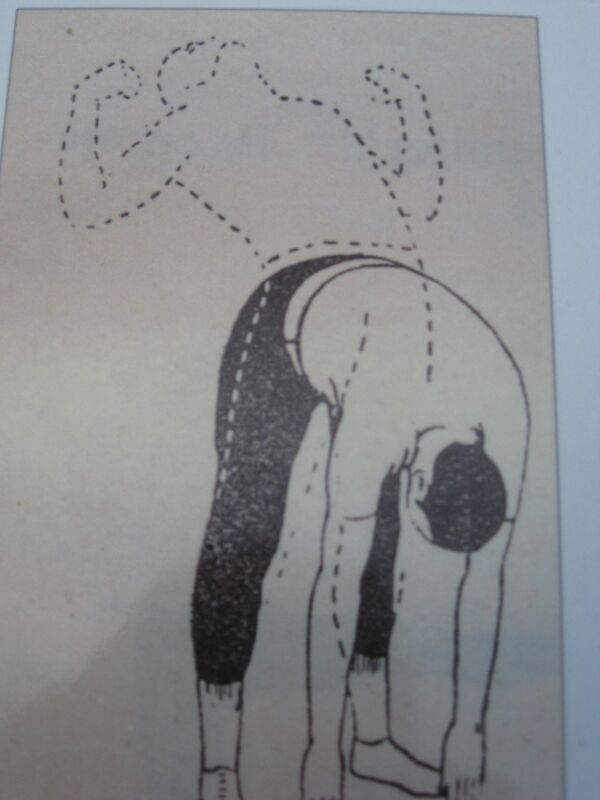 It remained in use as a “dry-house” (without facilities for any livestock), with rights to fish in the lake. Vatnskot is now a popular campsite. Þingvellavatn has a great deal of fish. 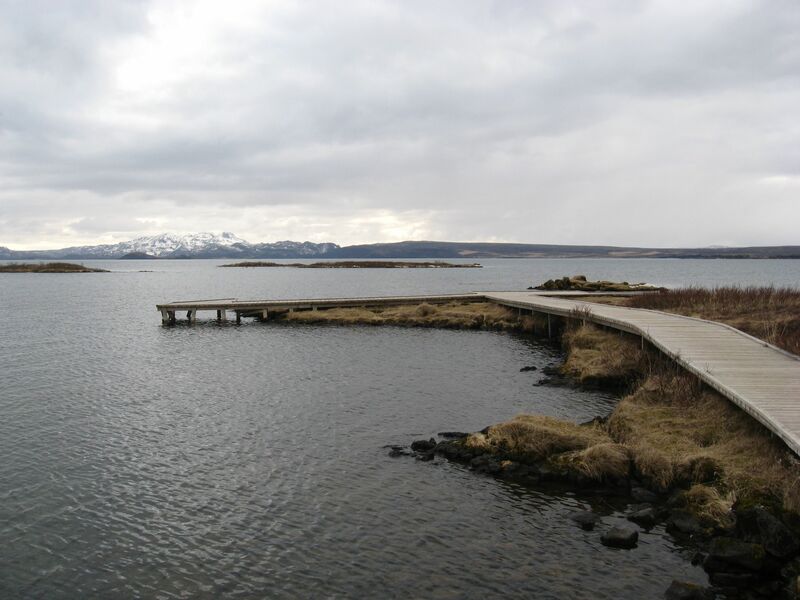 Anglers come to Vatnskot in the summer to fish from this lovely pier. Looking down into Þingvallavatn from the pier. These rocks looked like deliberately laid floor tiles. 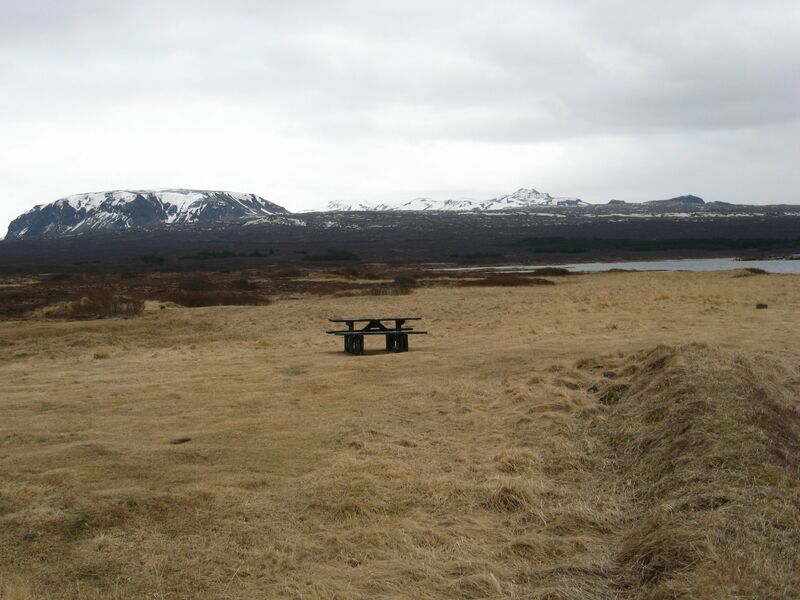 One of my favorite things in Iceland is the ubiquity of picnic tables in isolated, beautiful spots. Here’s one such picnic table. 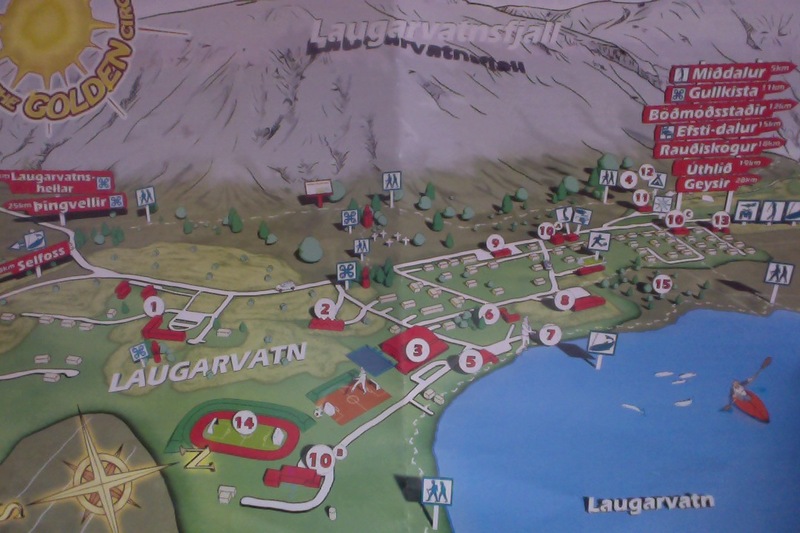 Following our walk, we drove to the nearby town of Laugarvatn, a small community on the edge of a large lake (for which it is named) which also boasts Fontana, a geothermal bath and spa (which itself sits on top of some natural hot springs), a satellite location of Háskoli Íslands which specializes in health and fitness studies, and a wonderful restaurant called Linden. Mark and I ran across Linden completely on accident during our first trip to Iceland–we were driving to the sites along the Golden Circle and encountered a detour on the main road, which ended up taking us through Laugarvatn. We were hungry, so we walked into the restaurant, not knowing at the time that it is one of the best around. It was practically empty, so we got a seat right at the window, looking over the lake, had a delicious lunch of char sandwiches (with char fished from said lake) and truly enjoyed ourselves. It was because of this experience that we had initially wanted to stay in Laugarvatn on our overnight, but as fate would have it, the restaurant is not open on Tuesdays in the off-season. Nevertheless, we found a lovely B&B/arts studio called Galleri there, and since there were also a number of nice hikes/walks in the immediate vicinity, decided to stay the night anyway. This particular stretch looked like an illustration from a super hero comic book, we thought. I’ll leave the rest of our travels for following posts–I should be studying! After our very successful city day in Reykjavík, Mark and I wanted to take our friends out of the city and into the country, if only for a little bit. Luckily–since they had to be back at the airport at 3:00 PM–it isn’t hard to get to the country in Iceland, nor is it hard to find some really amazing landscapes in the very direction of the airport, less than an hour’s drive outside of Reykjavík. Tagged daytrips, South Iceland, Thank You Iceland, Weather! So, happy post-Thanksgiving and pre-Christmas, everyone! As we enter that time of year in which everything becomes an extended blur, I think it is only fitting that I take a moment to enjoy a cup of coffee in the light of the newly-risen sun (it’s almost 11 AM, y’all, and we still have pink, streaky sunrise clouds outside) and avoid studying for my finals for just a little longer so that I can tell you about the last day of our now epically-extended Southern roadtrip. Following our awesome and literally rainbow-filled hike in Skógar, Mark and I had no fewer adventures on our way home. We decided to take a meandering route back to Reykjavík, following promising detours and possibly taking a short walk or two, but we had two definite stops in mind: the Dyrhólæy Nature Preserve and the colorful fishing village of Eyrarbakki, where we planned to have a nice seafood dinner at the well-known Rauða Húsið restaurant. Anything else would be (and was) gravy. I was going to compress the full day into one last post, but no such luck for all of you. It’s just Dyrhólæy today, or I won’t get any studying done at all. As with my last post, I have chosen some of the best photos to post below, but if you want the full experience (and to skip ahead to the end of the journey), you can take a look at all of the photos, which I posted here. 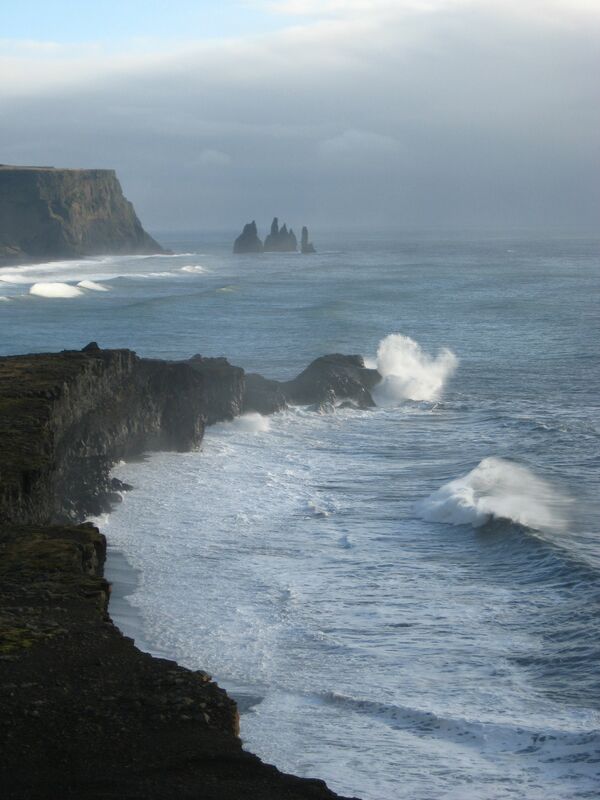 Dyrhólæy–thought to have been created in a volcanic eruption 80 thousand years ago–is a lovely spot for a bit of surf-and-bird watching just outside of Vík. This three day driving trip has now stretched on for, like, four weeks on this blog, so sorry for dragging it out everyone. But I think the wait will be worth it because the next stop on our trip–after exploring the black beaches at Vík–was back at Skógar, a very tiny “town” on the South coast which happens to boast a very big, incredibly beautiful, waterfall. When I came to Iceland with my mom in April this year (a pre-Big Move, post-grad school celebration trip), we also drove South and this was one of my favorite stops along the way. At that time, while my mom waited patiently below, I climbed up to the top of the waterfall and tip-toed out on a totally not-safe-for-tourists ledge to play chicken with the fear of death (and to watch some pretty birds). But we didn’t do any actual hiking that time. Since I’d spied a trail head at the top of the waterfall, though, I was eager to actually go do a little further exploring this time out. Mark and I started, obviously, by standing at the base of Skógafoss for a few minutes because as you may have gleaned from my previous posts, there are like a million waterfalls in this country, but they are all amazing, and they all have their own particular character and, yes, personality. I really, really like Skógafoss, and I’m going to go ahead and say that it really likes me, too, because it was in particularly fine form when we were there this time around. 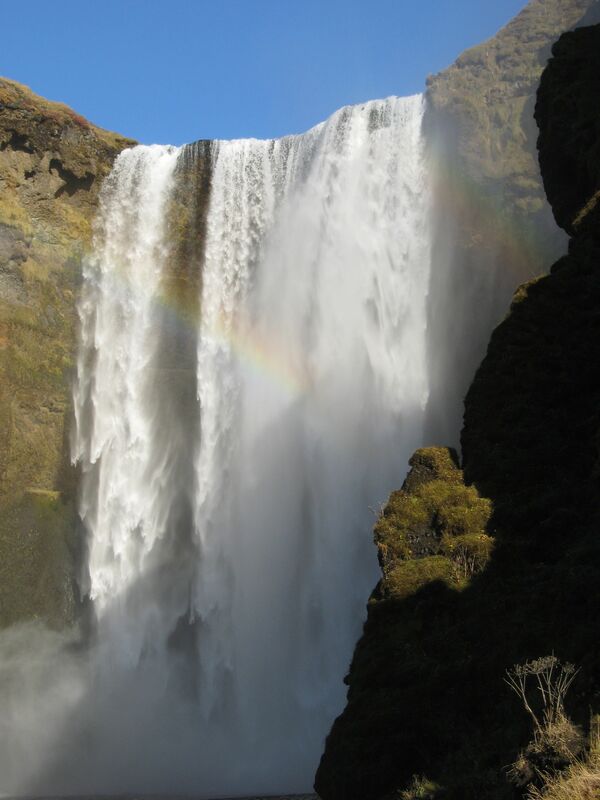 The weather couldn’t have been more beautiful–we actually had to take our jackets off pretty early on because it was too warm–and we were greeted at the base of the waterfall by three or four very clear, very full rainbows. Another way to account for the many rainbows–one which perhaps conflates several unrelated folk traditions but nevertheless doesn’t include a natural site being happy to see me (I really need a dog, guys)–is in the legend of the settler Þrasi who is said to have hidden a chest of gold behind the waterfall. So yeah: pot of gold = lots of rainbows, right? That’s got to be the reason. In the event that you are tired of reading election predictions, let me take you back with me to the South of Iceland, where when we last left off–back before music festivals took over my posts here–we were reciting epic dialog behind Seljalandsfoss and getting ready to move on to the black beaches at Vík. We had booked a room at the Hotel Dyrhólaey, named after the nearby Dyrhólaey nature preserve, which I am willing to bet is one of the most hotel-y hotels within 100+ miles and which wins the prize, currently, for most beautiful view-over-valley-from-a-mountain that I’ve had in a hotel room. Since we weren’t quite sure where the hotel was located, we decided to find it first (our rented GPS, heretofore unused, served its purpose, albeit briefly) before heading into Vík proper and taking our walk along the beach. Since we weren’t quite sure where we were going, we meandered slowly through the Mýrdalur valley, which is probably one of the most beautiful places I’ve been thus far in Iceland. Then, after checking in at the hotel and being warned that that evening’s dinner was being catered to the large school group visiting (burritos, ice cream), decided that we’d plan to find our dinner somewhere around town. 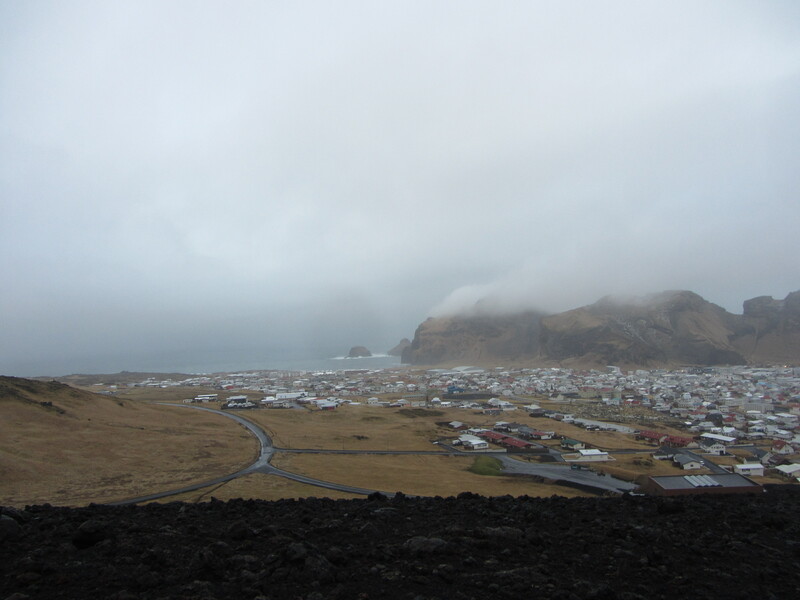 As we drove into Vík, the bright sunny weather we had been enjoying earlier on in our travels gave way to a less cheery, but far more atmospheric, overcast and misty afternoon. It was as though there was a storm cloud that had just settled itself right over Vík, and this continued to be true for the next couple of days. You could actually see a sharp line where sunny weather became cloudy right over Vík. As I said, though, this was incredibly atmospheric and made for a rather romantic (I mean this in the medieval/knightly sense) walk along the beach.